Relocation from one permanent duty station to another is common for many Marines and Marine Corps families. The military acronym for this is PCS, which stands for Permanent Change of Station. Moving is a stressful time for any family and Military families are often presented with additional challenges in the face of a move. 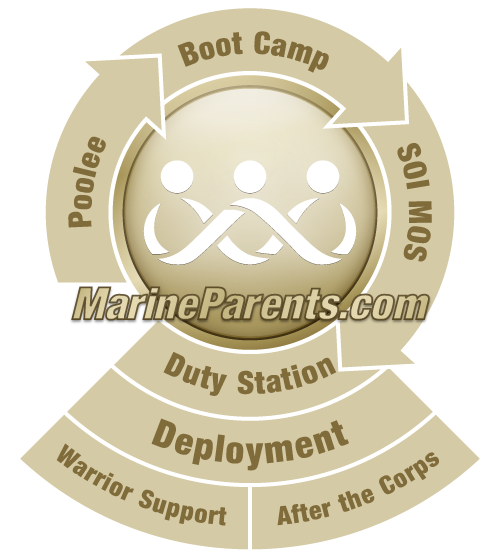 Generally, moving times and locations are out of the conrol of the Marine faced with relocation, and the families must simply adapt and overcome. On the upside, there are many resources available to help families prepare for and readjust to their new locations.